Every bride is looking to plan a wedding that is unique to them. Updating wedding traditions are a great way to plan something that is individual to you! The beauty of wedding planning is that you can choose which ones to keep, like the first dance or cake cutting, and which ones need a modern refresher. If you’re not sure what to change and what to preserve, ask your family or wedding planner. Your mom or grandma may have a specific tradition that they’d love to see at your wedding. Even your bridal style can take cues from current fashion trends and the British royal weddings. Bridal Separates… For the Reception! Having a reception dress is already a new tradition, but here’s the twist! 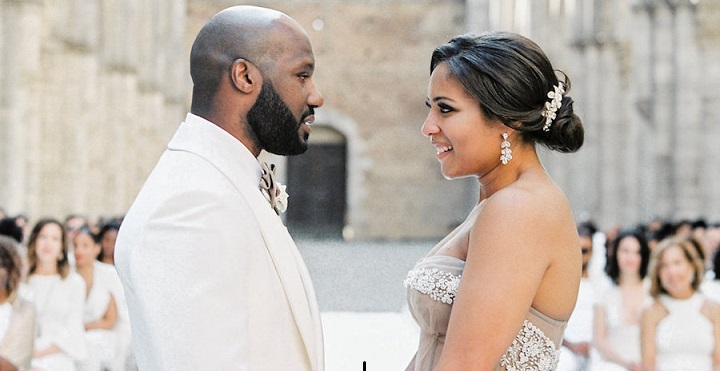 Instead of wearing a reception dress, look for bridal separates that suit your style. Wedding dresses are gorgeous, but they can be overwhelming and hard to wear, especially during your reception. 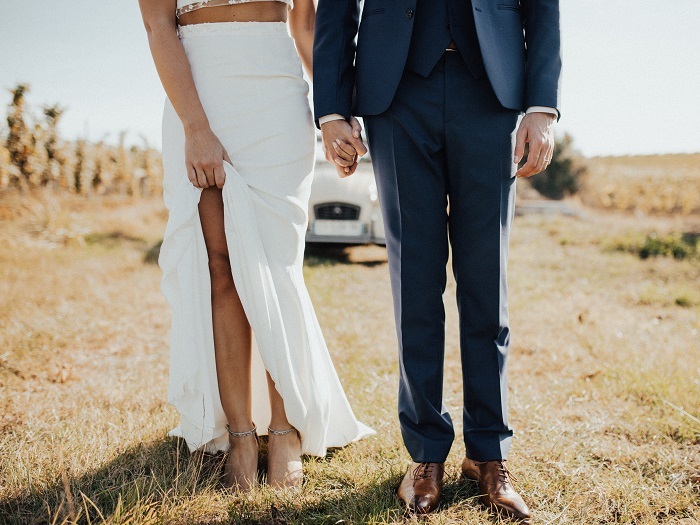 You want to be able to celebrate and spend time with your new husband and family without worrying about tripping over the train or staining your wedding dress. Bridal separates are two pieces like a blouse and skirt that are more comfortable than the traditional wedding dress. They come in a variety of styles, like crop tops for the fashion forward or even lacy and traditional. If you would rather wear pants, there are plenty of gorgeous trousers to choose from! You will be able to dance all night and spend quality time with your wedding guests. Engagement and wedding rings are a very old tradition, but changing styles makes it very easy to update for a personal statement. These pieces of jewelry are meant to be worn every day so you want to find something that you’ll love to wear and best fits your style. A trend that has become very popular is mixing metals. Most women wear either gold or silver and try to match everything they’re wearing in one outfit. 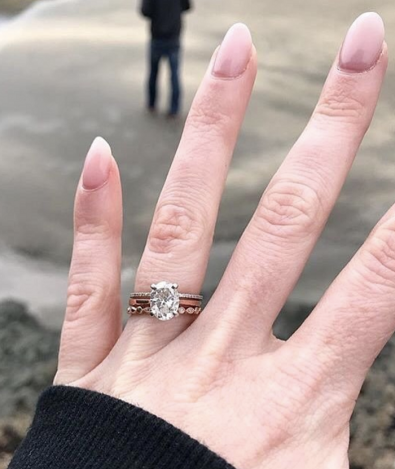 Mixing the metals of your wedding ring and engagement ring gives you the freedom to style your wedding dress and everyday clothes any way that you want! You can opt for a more traditional engagement ring in white gold with a diamond and then get a romantic rose gold wedding band. The possibilities are endless! Wedding hairstyles have traditionally been flowing curls or intricate updos. 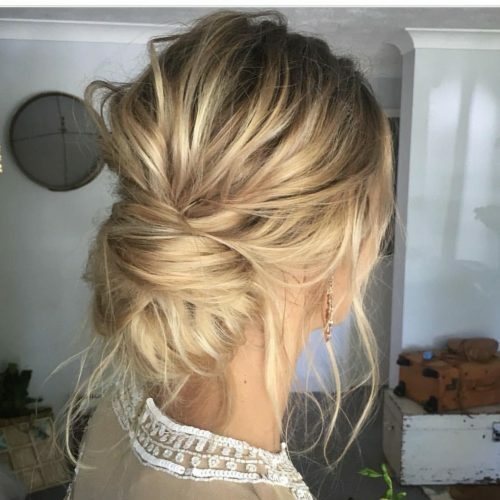 The updated version is a low messy bun inspired by Duchess Meghan Markle, who recently married Prince Harry, the Duke of Sussex. This low hairstyle is loose, yet refined. In the official royal portraits, loose pieces of hair framed her face making the bun more casual. This gives the updo a more modern touch. When you go to your wedding day stylist, bring a picture of Meghan Markle’s wedding hair and ask for a low updo with a couple of pieces to frame your face.